We are going to cover 4 simple ways that anyone can improve their credit score. For this article we’ll focus on 4 relatively easy “medium impact” approaches that when combined can have a significant positive effect. Before you start, you’ll want to obtain copies of all three of your credit reports. You are entitled to one free report per year from the credit reporting agencies. 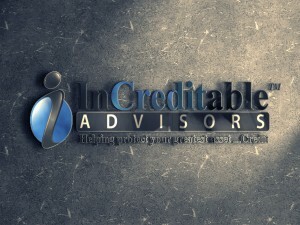 You can also visit www.myiqreport.com and get your credit scores for a fee. The first simple step to improving your credit score is to dispute outdated information on your credit report that should no longer be listed. This includes but is not limited to incorrect and outdated name and address variations, as well as any other accounts that are past the 7 year mark and should have been removed. The second thing you should do is to make sure that all of your good accounts are being reported correctly. If there are missing credit limits, or other information on your positive accounts is incorrect in such a way that it could adversely affect your credit, then attempt to get it corrected by contacting the creditor. You may also have to write the bureaus to ask for correction. The third simple key to improving your credit score is making sure your debt to credit ratio (i.e. credit utilization) is healthy. If you are using large amounts of your available credit this can be remedied by adding new credit lines, paying off some of your existing debt, or using “friendly loans” or other similar means to reduce the amount of credit you are using. The next simple step that many people can take is to tackle any late pays that occurred in the last few months. If you have a single 30 day late on any accounts, many creditors will remove it as a kind of “good faith” gesture to (hopefully) keep a happy customer. Often this can be done with a simple and polite phone call. If you want the ultimate solution to improving your credit score, you’ll want to check out the services of InCreditable Advisors. We offer proven strategies and hands-on support wrapped into one complete system for improving your credit score.